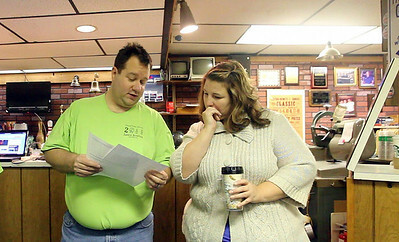 Lauren M. Anderson - landerson@shawmedia.com Gene Schrempf and Sarah Schrempf, both of Crystal Lake, go over information for the Jaycee Junior Bowling on Saturday at Metro Bowl in Crystal Lake. 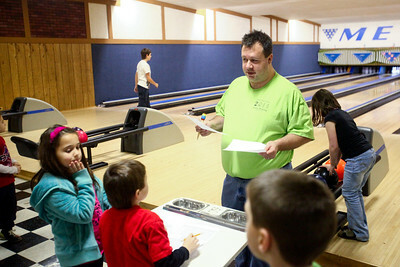 Gene Schrempf of Crystal Lake checks the lane assignments for those participating in the Jaycees bowling league at Metro Bowl in Crystal Lake on Saturday. 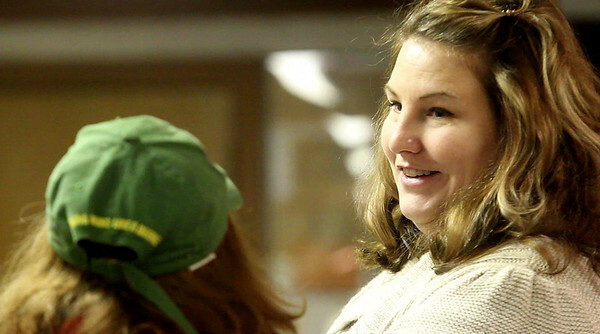 Schrempf has been volunteering for the Jaycess since 2002.